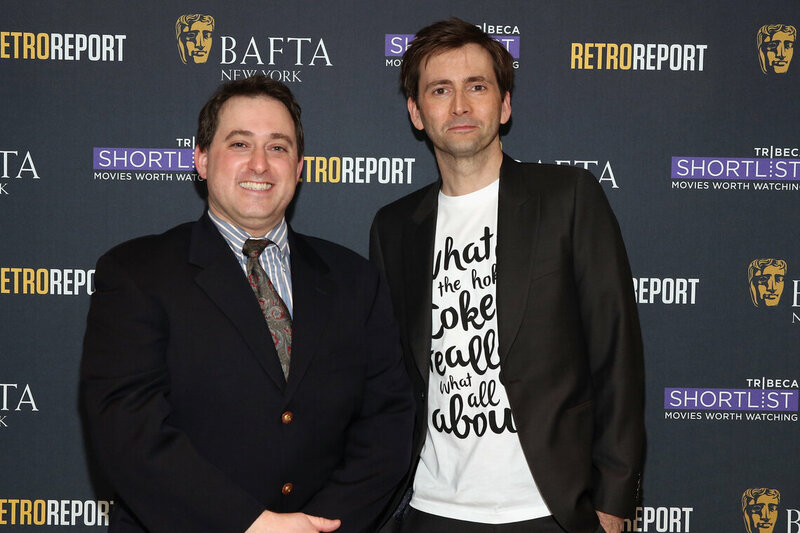 On April 18th, 2016, David Tennant spent the evening with BAFTA New York for a candid interview moderated by Ethan Alter to discuss his career and latest projects. "In Conversation," a series of live interviews with notable British actors, directors, screenwriters and producers explores their career achievements and provides an inside look at what it takes to become and remain a top-notch artist. Recent guests have included Tom Hiddleston, Abi Morgan, Benedict Cumberbatch and Keira Knightley. 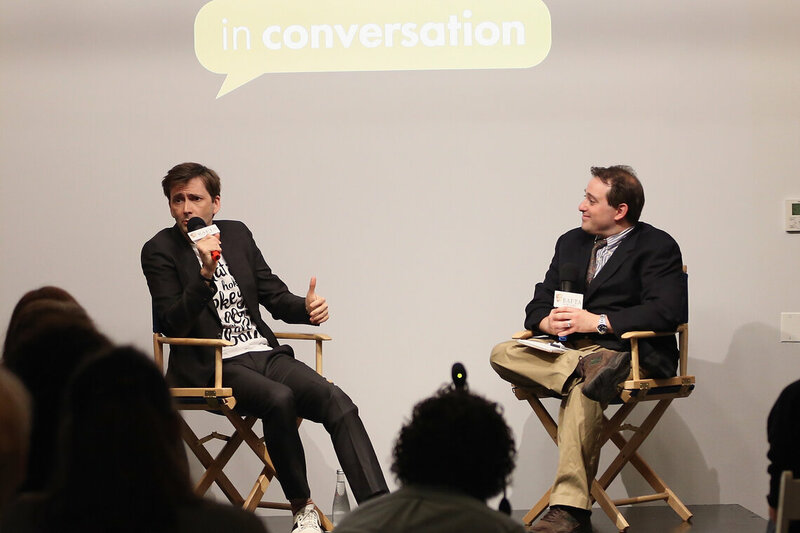 Moderator Ethan Alter and David Tennant. 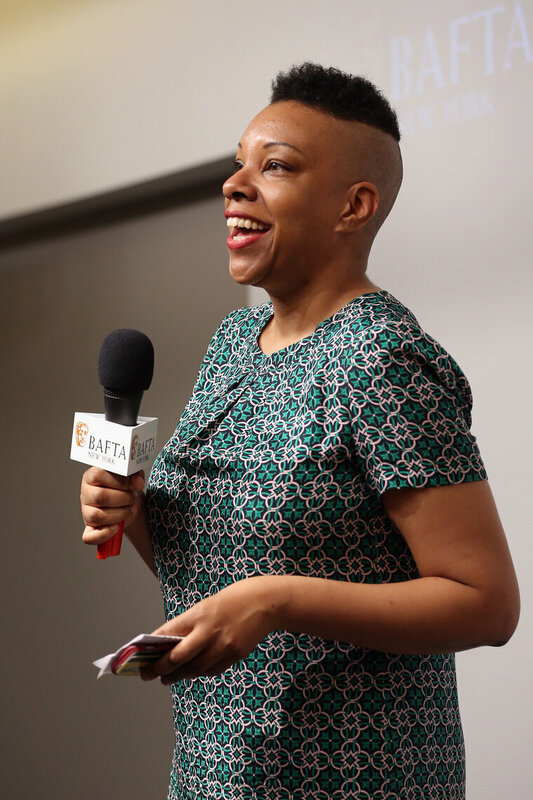 BAFTA New York CEO Julie La'Bassiere. 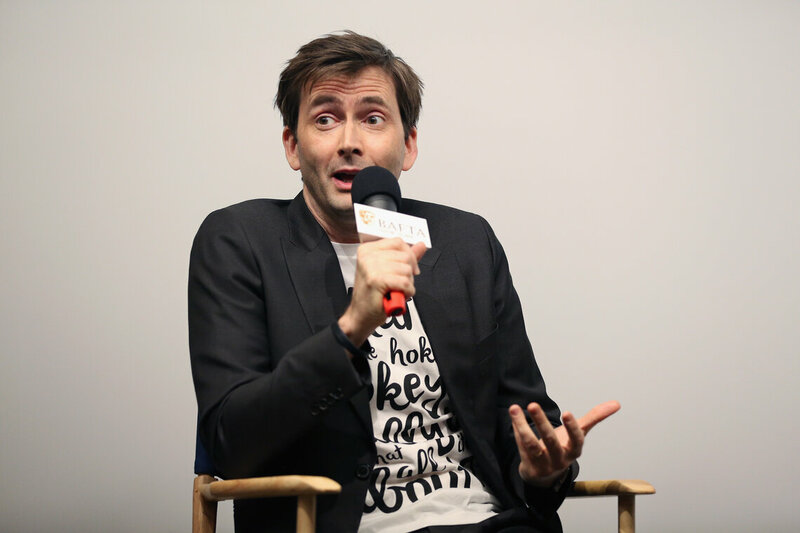 David Tennant and moderator Ethan Alter. On August 8th, 2016, Hugh Grant sat down with BAFTA New York for a candid interview about his career and latest projects. The event was moderated by Matt Zoller Seitz and held at Retro Report in New York City. 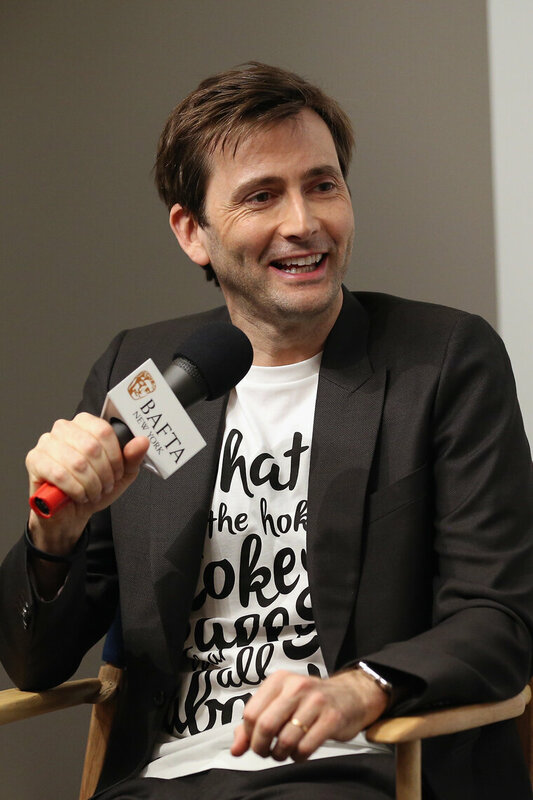 On March 28, 2016, BAFTA New York hosted the first of a new season of In Conversation interviews in conjuction with Tribeca Short List. Our first guest was Tom Hiddleston, interviewed by film critic Joe Neumaier. The event was held at Retro Report in New York City. 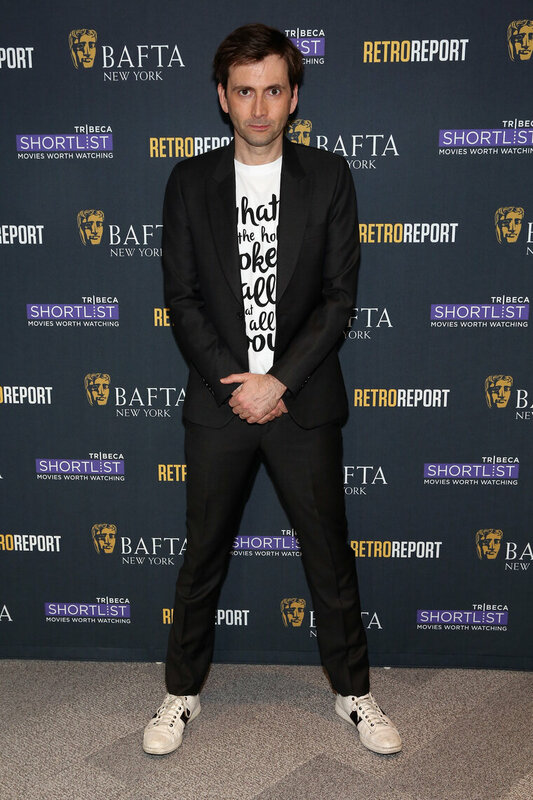 On February 13th, 2014, Benedict Cumberbatch spent the evening with BAFTA New York for a candid interview moderated by Scott Feinberg to discuss his career and latest projects. "In Conversation," a series of live interviews with notable British actors, directors, screenwriters and producers explores their career achievements and provides an inside look at what it takes to become and remain a top-notch artist.